It’s not deep dish and not thin crust. It’s just the right texture with a gooey mozzarella topping. Perfect for any party or perhaps as an appetizer! The iconic ending to any dinner, these cannoli chips go great with a sweet ricotta dip and are perfect for those who eat to live or just those who love to eat! First we create the meat sauce then we cook the pasta, all that’s left for you to do is enjoy! If it’s not a staple in your house it should be. A true Sicilian delicacy featuring a crispy shell with fresh ricotta. A dessert done right! 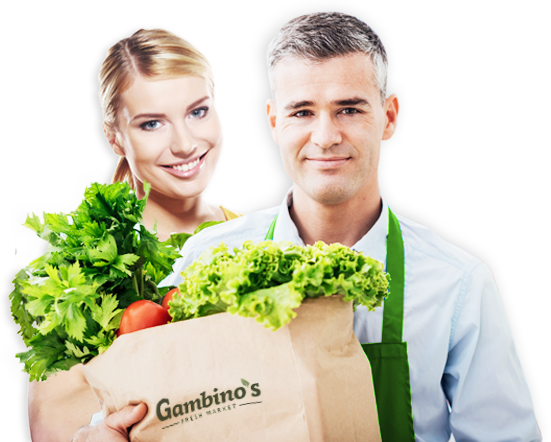 At Gambino’s Fresh Market, we believe in offering fresh, natural choices at affordable prices. You can say it’s our passion, but we’ll call it our promise.